In February, the University of Vermont Catamounts announced that it would be dropping its baseball and softball programs. The baseball team at Vermont has a long history, with its first collegiate games stretching back to 1888. In the final chapter of this three part series, here is look at the Catamounts baseball program from 1945-2009. After World War II ended in 1945, the University of Vermont Catamounts’ baseball team resumed play in the spring of 1946. With a depleted roster, Coach Larry Gardner struggled to field a winning team over the first few years back. 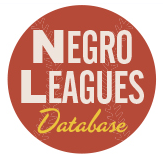 After a 2-10 season in ’48, Gardner decided to enter the baseball team into the Yankee Conference’s baseball league for the 1949 season. 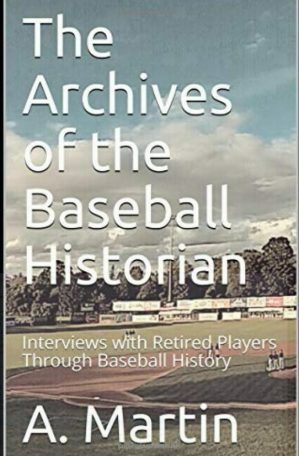 Many of the Catamounts athletic programs played competitively in the Yankee Conference since the collegiate league started in 1937 but just now was the Conference introducing baseball. The next few years leading into the ’50s, UVM played much better, going 23-23-1 through 1951. A 1-0 victory against St. Michael’s was not only its last victory of 1951, but it was also the 177th and last win for Coach Gardner. After 20 seasons of managing, Gardner posted a .472 winning percentage and now; he was retiring after being a huge part of Catamount baseball since 1905, when he broke in as a freshman shortstop. In December, Gardner announced his successor in Ralph Lapointe, a former football star at Vermont. Lapointe also played a year of baseball at the school before the war called him away and he even spent a few seasons in the major leagues. Lapointe took over the team and immediately started to win. His first three seasons in charge all yielded winners and then in 1956, UVM tasted success it hadn’t had since Bert Abbey was on the mound before the turn of the century. Heading into the final game against Boston University, the Catamounts were 18-5 but needed just one more win to get into the Northeast Regional of the NCAA Baseball Tournament. Yes, UVM had a great record but losses to Massachusetts and Connecticut had put them on the outside looking in on the tournament. However, a win against Boston would allow Vermont to sneak in as a 4th seed. Lapointe turned to ace Jack Lamabe who had carried Vermont for the most part through the season. Lamabe pitched almost perfectly for his coach, throwing 5 2/3rd innings of no-hit ball and through eight, he had only surrendered one unearned run. However, on the other side, Catamount hitters were having no luck, only scoring one run as well. With the score tied at 1-1 in the 9th, UVM’s playoff chances broke, just like the bat of the BU player who drove home the game-winning run on a walk-off single. However, just days after getting their hearts broken, Lapointe got a call from the NCAA asking them to be the 4th seed in the Northeast Regional because of a withdrawal by Colby College. The answer was obviously yes. Out to prove they weren’t just a fill-in, Vermont played perfect baseball against #1 UMass and eliminated their rivals in the semi-finals with an 8-1 win. In the finals, Vermont faced New Hampshire for the right to go to Omaha for the College World Series. The two teams had not played each other since 1950, when they split a two game series in Burlington. In a sad finish to a regional final, New Hampshire won 2-0 after rain washed away the game after the fifth inning. The NCAA declared the game official and UVM walked away extremely disappointed in the outcome of the short game. Barring a miracle in 2009, it was the closest the Catamounts would ever get Omaha. The heartbreaking loss did not keep UVM down as they continued to win. In 1958, Lapointe led his men to a 17-7 record, including a 7-3 mark in the conference, a program best since entering the Yankee league. Still, both records were still not good enough to win the conference or qualify for a NCAA regional. The team went through a downswing cycle until 1962, when the Catamounts exploded for a 21-6 mark, which led them to their first Yankee Conference baseball title in school history and the #2 seed in the Northeast Regional. Like many of the great Vermont teams, the ’62 Catamounts were led by an outstanding pitcher. Lapointe would later call Richard Cassani â€œone of the greatest athletes I have ever coachedâ€. His name blazes across the Catamounts modern-day record book like his hummer of a fastball. He has the career marks of strikeouts (258), innings pitched (248.1), and has a share of the lead in wins (21); all accomplished over his three-year career. In his junior season in 1962, Cassani’s final numbers were absolutely mind-boggling: 9-0 with an ERA of 0.99 and he was recognized as one of the best pitchers in the nation. The team headed to Springfield, Massachusetts for the regional tournament. Things went well in the round robin portion as they won 2 of 3, there only loss coming to #1 seed Holy Cross, who they would happen to face in the finals. Holy Cross would just dominate in the finals and overpower UVM for a 12-5 victory and a trip to Omaha. Again, the Catamounts were shutout of the national series but things were looking up in 1963. Cassani turned down a major league contract offer to return for his senior year. However, a nine game losing skid put a halt to any title aspirations. The only bright spot for the 14-12 Catamounts was the final game of the season went into Dartmouth and defeated their old rival and #1 seed in the Eastern Regional, 6-1. The game was also a last hurrah for Cassani, who struck out 14 hitters and only allowed 4 hits. He was going to be missed. In 1965, the Catamounts were co-champions of the Yankee Conference and were tied with Connecticut for the fourth seed in the regional tournament. The two programs would face off in a wildcard play-in game to determine who would play in the regional tournament. The Catamounts and Huskies played twice during the regular season in the state of Connecticut, with the Huskies winning game one 5-4 and the Catamounts countering with a 7-1 victory in the last meeting. However, it was UConn who was victorious in the rubber match, blanking UVM 5-0 to move on to the Northeast Regional. However, in the fall of 1967, tragedy struck the program and every baseball fan in the state of Vermont; Ralph Lapointe lost a two year battle with cancer at the young age of 45. Over 16 seasons, Lapointe had an overall mark of 216-127 and led the Catamounts to sum of its best seasons in school history. More importantly, he served a great role model for young players coming through his program. Two months later, the school renamed the locker-room facilities and clubhouse at Centennial Field after the late coach; the Ralph Lapointe Fieldhouse. Lapointe’s successors, Jim Cross and Doug Holmquist, coached the school to four seasons of .500 baseball before in the fall of 1971; the school announced it was cutting the baseball program due to budget concerns. After many years of greatness on the field, with only interruptions for the war, the program was gone and with no timetable for its return. When it finally did in 1978, new coach Jack Leggett did his best to rebuild the program from walk-ons and a few scholarship players from Vermont. The team played a cupcake schedule for its first few years back before it finally had a decent season in 1981. Playing its first season in the East Coast Athletic Conference (ECAC), the team went 22-15 including a solid 8 for 16 in conference play. The Catamounts even advanced to the ECAC playoffs, where they were defeated on their quest to the CWS again. Leggett would move on in 1982 and was succeeded by Mike Stone. The team never clicked under Stone’s guidance. Three times in Stone’s five years the team finished with single-digit wins and in 1985, the team had one of the worst seasons in school history, going 8-29. In 1988, Stone quit and the school hired Bill Currier, a former UVM player under Leggett in ’80s and a key player on the ’81 playoff squad. Before Vermont, Currier played three seasons in the Philadelphia Phillies system and had a few years coaching experience under Leggett at Western Carolina and as a head coach at Mitchell JC. It took Currier a few years to get things running his way but when he did in 1992, success came in the form of a 28-13 record, good for 3rd in the new America East conference. Currier was named New England coach of the year and the Catamounts ran into the NCAA tournament again before being knocked out in the regionals by Iona. A 25-win season in ’93 followed and the Catamounts reached the conference playoffs before losing in the first round to New Hampshire. After a sub par ’94 season, UVM began building back up in the mid-90s. In 1997, the team finally had one if its better years of the decade. Led by future Montreal Expos prospect Jerry Lynde on the mound, Vermont posted a 27-19 record. The team qualified as the third seed in the America East playoffs and ended up in a semi-final match with top ranked and hometown favorite Delaware. Two years earlier, it was Vermont who upset Delaware in the North Atlantic Conference quarterfinals and at home, the Fightin’ Blue Hens were looking for revenge. Revenge though would have to wait as the Catamounts won a 4-3 shocker to move onto the finals, where they were defeated by Northeastern. Currier continued to build a great program that every year pumped out a consistent team. In 2003, the Catamounts went 32-14 on their way to their first ever America East regular season title and the first regular season pennant since the program won the 1962 Yankee Conference title. The ’03 win total was the highest in the school’s history. Again, in 2006, UVM would win the regular season title, going 16-8 in the conference despite an overall record of 19-34. However, all of the success the Catamounts had during the regular schedule could never translate into winning in the postseason. In 2003, the top ranked Catamounts were bounced in the double elimination playoff quickly after losing their first two contests to Northeastern and Maine. In 2005, Vermont lost the playoff opener 14-2 to Maine but won its next two contests to stay alive. In a do-or-die game against Maine again, the Catamounts prevailed 6-5 in 10 innings. One more game remained on the playoff schedule and it would be UVM and Maine again, with both teams having just one loss. A win and a berth in the NCAA regionals were on the line. Again, UVM could not finish and lost in a heartbreaking manner, 6-5 in an eleven inning thriller. In 2006, Vermont went 1-2 in the playoff as the top seed. Last season, in 2008, Vermont finished with 27 wins and for the third time in four years, the made an appearance in the America East playoff. The first game of the playoff was Bill Currier’s 900th game filling out lineup cards for the Catamounts, the most of any coach in their history. However, this season has been different for Currier. Instead of recruiting players, he is recruiting schools to sell his players who have years remaining on their scholarships to. The ’09 version of Vermont is currently 8-19. Unless a miracle occurs where UVM would be able to qualify for the AE playoffs, possibly the final game in school history will take place on May 16th against Binghamton. could the creator / publisher of this webpage please shoot me a quick email when or if they find a free second? I am working on a project that I would like to share with them. I think its something they will really find interesting!! I appreciate any time you find and look forward to your email! 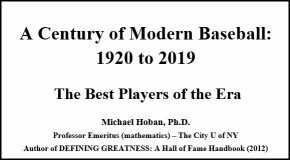 Anyone else reading this who would like to help out with a really worth wild project to bring baseball back to a place where it once thrived. Please email DIGGITNEWS@GMAIL.COM and I will promptly get you the info on the project and its very simple goals. 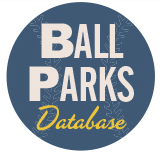 It is our hopes, our being a group of baseball enthusiasts and supporters, from all walks of life and social status, that we will succeed but we wont be able to do it without a whole bunch of baseball fans,players and folks who are willing to spread the word. If you can talk, write or type or any combination of the three and your willing to share the story, tell someone or share a link to a petition PLEASE PLEASE PLEASE email the address and we will get you the info. Hi, im presuming you were the person who posted pictures of UVM football teams. I’m also hoping you can help me get a picture from the football blog highlighting the 1957 Norwich football game which I saw in 2018. I’m unable to open the site to retrieve this picture. If you were not the person that posted these football pictures perhaps you can refer me to the originator with contact info. Thanks for your assistance. BTW I’m not that swift navigatigating my way through internet sites !